It all started in Argentina. 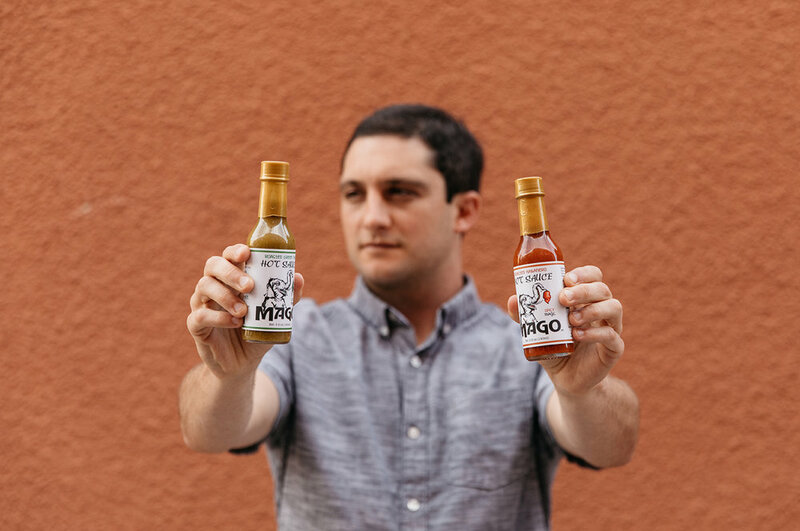 Clark Olson, creator and founder of Mago Hot Sauce, grew up in Laguna Beach. However, while inspiration for many can be found by simply walking up the palm tree laden PCH, Olson went south of the equator for his. South America had always held a special spot in Olson’s heart, having previously backpacked through Columbia, Ecuador, and Peru with a college buddy. 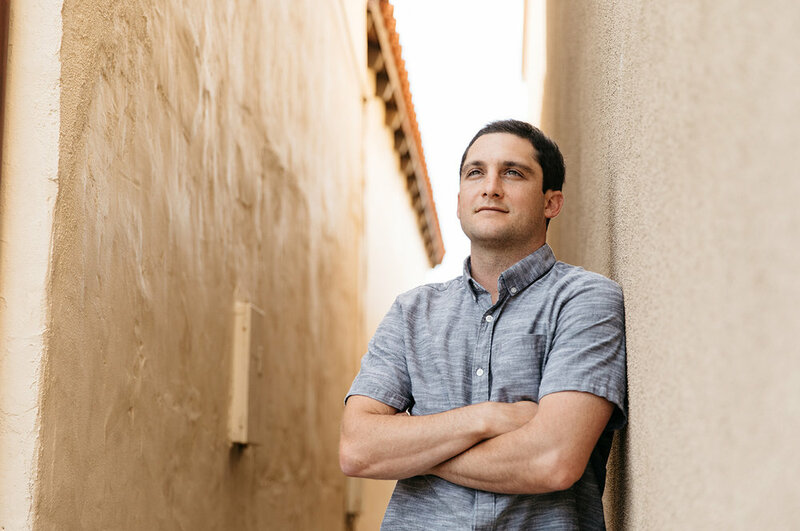 A short time later, after earning his certification to teach English abroad, he jumped at an opportunity to again head down south, and selected Buenos Aires, Argentina as his teaching location. He stayed at a small complex named Los Elefantes, which was managed by a woman named Veronica, whom Olson lovingly describes as “a grandma and mother all wrapped up into one.” Arranged in the shape of a square, all the single-studios faced each other and poured out into the courtyard. With funky art everywhere, each apartment was quaint with a bed hogging half the floor space. But the best part, according to the young adventurer, was the shared communal kitchen where he spent the majority of his time. Including himself, there were six other residents staying at Veronica’s Los Elefantes. Naturally, they called themselves the “Elefantes.” Like Olson, they were also 20-somethings traveling throughout the country. The group became a family over countless shared meals and meaningful conversations, ingraining in Olson a deep appreciation for food, flavor, and (especially) hot peppers. All too soon, it was time to move back to California. Upon returning to the States, Olson, who had always had a bit of a green thumb, dug into gardening. Inspired from his recent travels, he wanted to try and concoct a hot sauce recipe of his own, so he took to the kitchen to begin experimenting with his home-grown chilies. Test batch upon test batch, after zeroing in on the viscosity and mastering a variety of unique flavorful blends, he created a number of recipes which garnered enthusiastic feedback from his friends and family. Riding off such great feedback, Olson decided to ditch the recycled Pellegrino and tequila bottles he’d been using as containers and go for the real deal, obtaining certification to sell his batches of hot sauce legally. When it came to naming his brand and creating the label, it would all come together as a tribute to Olson’s time in Buenos Aires. When he approached his trusted friend and designer, Travis Parr, for help with the label, it was a simple ask, “I need an Indian elephant holding a habanero.” It was his tribute to Veronica and the rest of the Elefantes. Additionally, in honor of one of the many Argentinian cats he had befriended while there, he named his company Mago (meaning magician in Spanish). Clark Olson’s magical hot sauces are non-GMO, and currently available in three unique flavors: Roasted Habanero, Roasted Green Thai, and Ghost Pepper. Find them at local Laguna Beach restaurants such as El Ranchito, Oak, Watermark, Coyote Grill and more, or pick some up for yourself at the Mago site or at Laguna Beach’s weekly farmer’s market. Prepare for a magical experience, Elefante-sized.